Aston Martin and Dow announced recently that they would be continuing their successful technical development partnership with the goal of advancing innovation and engineering excellence. Eugenio Toccalino, global marketing director – Transportation and Advanced Polymers, Dow said that the company’s collaboration with Aston Martin will use the combined expertise of both companies to create a platform that can fast track innovation by validating several new technologies and solutions. This is particularly important in view of the transformation that is taking place in the automotive industry as development cycles get to be shorter and companies vie with each other to develop innovative products and solutions for future mobility solutions. Toccalino said that the technical collaboration will pave the way for the continued development and implementation of new and customized industry-leading solutions in the fields of lightweighting, powertrain efficiency and vehicle electrification. David J King, vice president and chief special operations officer at Aston Martin said that both Dow and Aston Martin have a proven track record of working together successfully and the continuation of the partnership would expedite the development and demonstration of new product capabilities and technologies in both road and track environments. 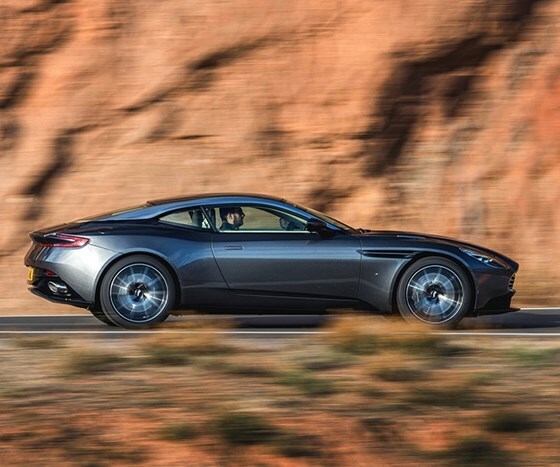 The partnership between the companies has lasted for more than 25 years, with Dow Automotive Systems supplying Aston Martin models like the DB11 and the Vanquish, with structural adhesive solutions that make multi-material lightweight constructions possible without any compromise when it comes to structural strength and stiffness. Dow’s BETAMATE, BETAFORCE and BETASEAL material solutions were able to meet broad industry norms and tolerate production processes. These customized adhesives meet a wide range of open time and cure time requirements and are used to bond a broad range of materials including electro-coated aluminum and steel, anodized aluminum, carbon fiber and glass fiber reinforced composites as well as glazing applications.